January 26, 2018 – The Global-scale Observations of the Limb and Disk (GOLD) mission, designed and built by the University of Colorado’s Laboratory for Atmospheric and Space Physics, launched from the Guiana Space Centre on Thursday, January 25, as a commercially hosted payload on the SES-14 satellite. From its vantage point 22,000 miles above Earth, GOLD will investigate the dynamic region where space intermingles with Earth’s uppermost atmosphere. 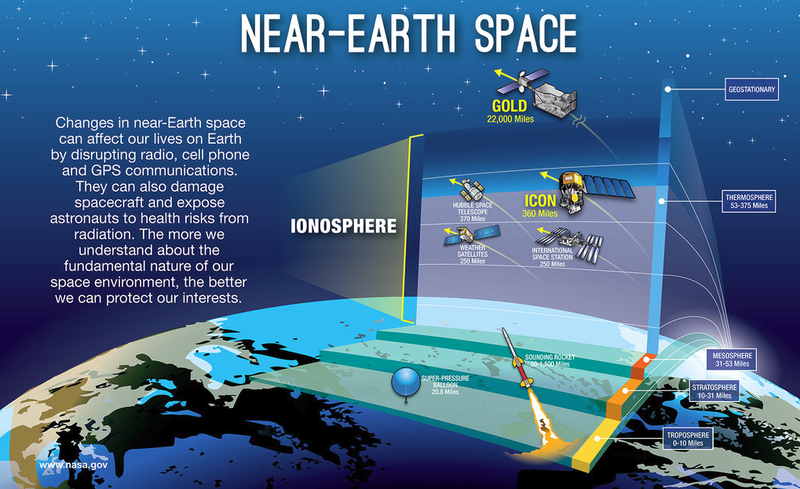 Capturing a snapshot every 30 minutes, GOLD will be able to see changes in the temperature and composition of the Earth’s thermosphere and ionosphere. Historically difficult to observe, this little understood region responds to both terrestrial weather from below, and the tumult of space weather from above. Big events in the lower atmosphere, like hurricanes or tsunamis, create waves that can travel all the way up to this interface to space, changing wind patterns and causing disruptions. Similarly, flurries of energized particles and solar storms carry electric and magnetic fields from above and have the potential to disrupt Earth’s space environment. This combination of factors makes it difficult to predict changes in the ionosphere – and these changes can have a big impact. The 80-pound GOLD instrument is an imaging spectrograph, breaking light down into its component wavelengths and measuring their intensities. Specifically, it measures far ultraviolet light, creating full-disk ultraviolet images of Earth from its vantage point above the Western Hemisphere. “Just like an infrared camera allows you to see how temperatures change with different colors, GOLD images ultraviolet light to provide a map of the Earth that reveals how temperature and atmospheric composition change by location,” said Richard Eastes, GOLD principal investigator. From these images, scientists can determine the temperature and relative amounts of different particles – such as atomic oxygen and molecular nitrogen – present in the neutral atmosphere, which is useful for determining how these neutral gases shape ionospheric conditions. These data will provide the first maps of the upper atmosphere’s changing temperature and composition all over the Americas. 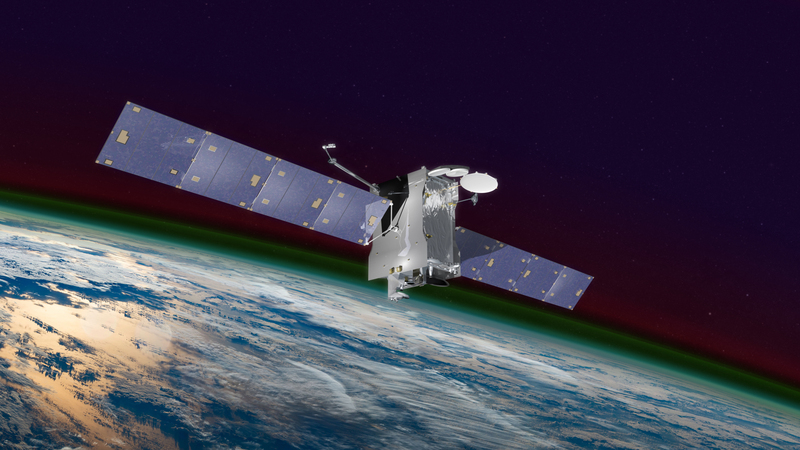 LASP has a seventy-year history of providing instruments for NASA missions, but this is the first NASA science mission to fly as a hosted payload on a commercial satellite. 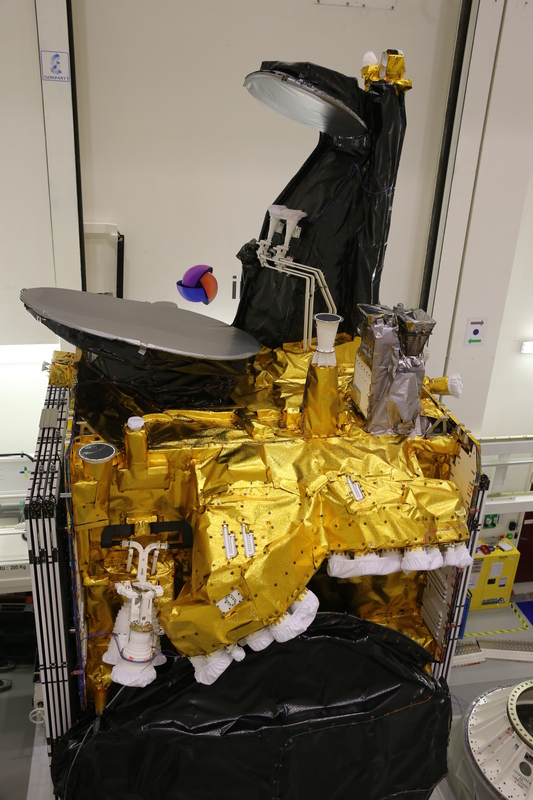 GOLD receives electrical power from the satellite, which also routes commands – originating at LASP – to the instrument and downlinks its images through a dedicated transponder. As a hosted payload, the cost to put the science instrument into geostationary orbit was cut exponentially. NASA hopes that the SES-14/GOLD collaboration will blaze a trail for similar projects at universities nationwide. GOLD is a NASA mission of opportunity led by the University of Central Florida. LASP built the instrument, and provides management and systems engineering, as well as instrument operations for the GOLD mission. GOLD is the newest addition to NASA’s fleet of Heliophysics missions. Other members of the GOLD team include scientists from the National Center for Atmospheric Research (NCAR), the University of California at Berkeley, Computational Physics Inc., and the National Oceanic and Atmospheric Administration (NOAA). NASA Heliophysics missions study a vast interconnected system from the Sun to the space surrounding Earth and other planets, and to the farthest limits of the Sun’s constantly flowing stream of solar wind. Also launching this year is the Ionospheric Connection Explorer (ICON), which will study the ionosphere and neutral upper atmosphere. But while GOLD flies in geostationary orbit 22,000 miles above the Western Hemisphere, ICON will fly just 350 miles above Earth, where it can gather close-up images of this region. Together, these missions will provide the most comprehensive ionosphere observations we’ve ever had, enabling a deeper understanding of how our planet interacts with space.